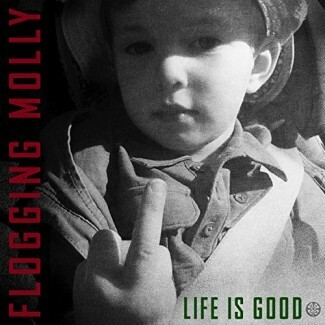 Contemporary high octane Celtic folk music is what Flogging Molly is all about and this release pushes their catalog to new heights, showing off even more facets of their musical diversity. In their 20th year of kicking jigs and punk anthems, they have toured the world over and captured the hearts of millions. Life is Good showcases both the fast and furious as well as the sincere and sedate aspects of the band.